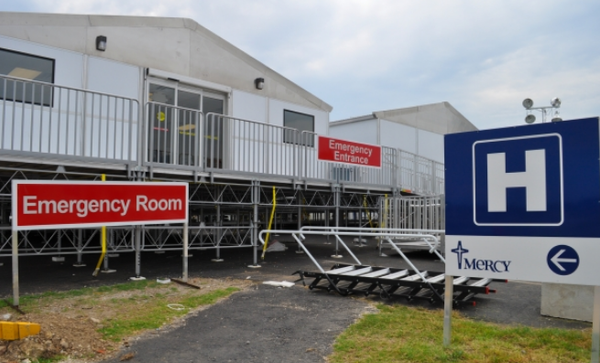 It has taken a long time, but the unravelling of the seemingly bullet-proof Ramsay Health Care (ASX:RHC) finally materialised on Thursday, June 21 with the company’s shares tumbling from the previous day’s close of $62.17 to an intraday low of $54.35. The sell-off has continued with the company’s shares trading as low as $53.00 on Monday, a level it hadn’t traded at since 2014. With the company’s large hospital ownership and management position seemingly providing it with substantial pricing power and the ability to be a price maker rather than a price taker, Ramsay was seen as one of the safest investments on the ASX. Let’s face it, people will always get sick and with an ageing population Ramsay was seen as having excellent leverage to that thematic. However, it now has to check itself into the emergency ward for a thorough examination and investors should seek professional financial advice if considering this stock for their portfolio. 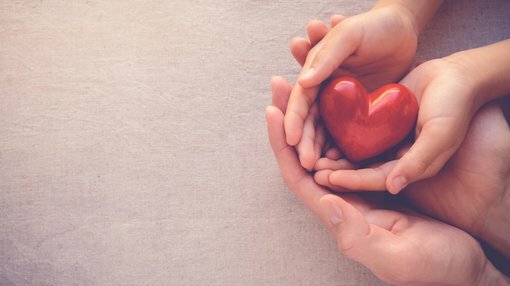 A company that was arguably in every blue-chip superannuation portfolio, Ramsay announced that it was taking a $125 million charge in relation to its UK hospital assets. Furthermore, earnings per share growth guidance provided in February was downgraded from a mid-range of 9 per cent to circa 7 per cent. Loyal shareholders had already been rattled by the poor fiscal 2017 and first half fiscal 2018 performances reported in August 2017 and February 2018. Last year’s result triggered a share price decline from about $76.00 to $62.00. The response to the interim result in February put paid to a slight recovery as the company’s shares fell from approximately $69.00 to once again find a bottom in the vicinity of $62.00. However, there hasn’t even been a sign of a dead cat bounce following this latest sell-off and it is difficult to see any near to mid-term catalysts for the one-time market darling. Investors figured that a company with such a commanding hospital portfolio in Australia and some prime assets overseas couldn’t go wrong. 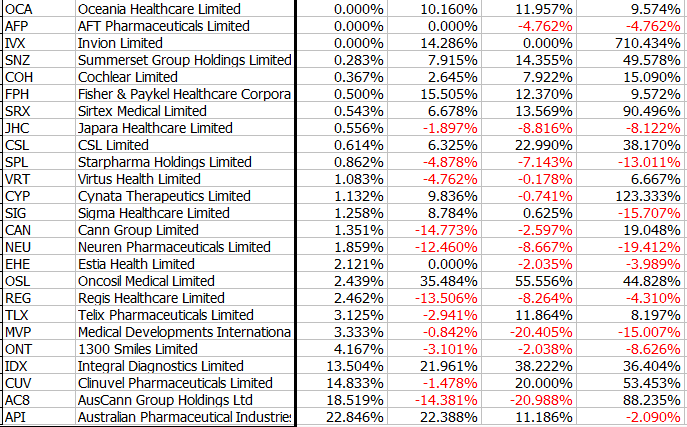 Interestingly, there are many healthcare stocks with lofty market capitalisations that aren’t delivering the high growth normally expected of companies that are trading on premium price-earnings multiples. To give you an idea of how out of kilter the valuations are, even after the recent retracement, Ramsay is trading on a fiscal 2018 price-earnings (P/E) multiple of about 20 with consensus forecasts pointing to earnings per share growth of circa 7 per cent in both fiscal 2018 and fiscal 2019. The following data shows Ramsay’s growth profile between June 30, 2013 and December 31, 2017 inclusive. The data is on a six monthly basis, and the key areas to look at other earnings per share growth and the revenue growth. As indicated, revenues more than doubled over the course of four years, and for the first three years the company was delivering earnings per share growth of between 17 per cent and 39 per cent. While the downturn started in 2016/2017, investors just couldn’t believe what they were seeing. However, there is nothing like the downfall of a big name to bring reputations into question, and it wasn’t surprising to see some companies in the sector that look similarly overvalued take a hit since the Ramsay news broke. As can be seen below, two of the big names that came under the knife last week were the $20 billion ResMed (ASX:RMD) and the $10 billion Sonic Healthcare (ASX:SHL). Even Mayne Pharma (ASX:MYX) which has been trading strongly over the last six months and is still up 18 per cent on a month-on-month basis felt the brunt. While the fallout from Ramsay was interesting to watch, from an analytical basis it was worthwhile trying to track where the money was going. Notably, aside from marginal gains in go-to stocks such as CSL and Cochlear, investors appeared to be targeting the smallcap end of the market. There also seemed to be a tendency to steer clear of companies that have the propensity to run into the same challenges as the likes of Ramsay – trying to manage capital intensive businesses with plenty of moving parts and an ever-changing regulatory landscape. 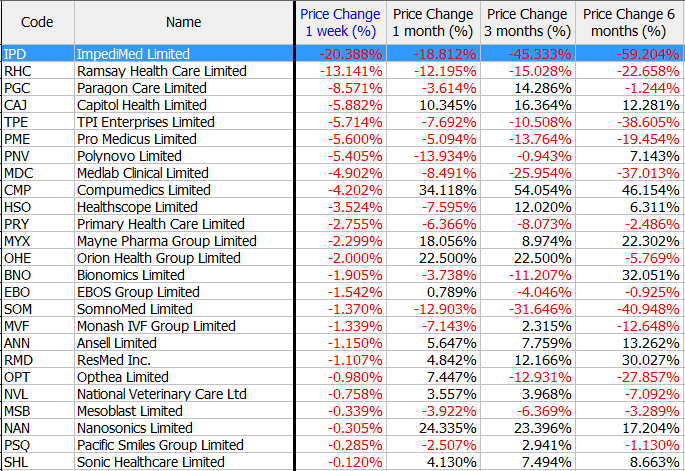 In the plus $100 million market capitalisation healthcare universe, the four stocks that weathered the storm best were Australian Pharmaceutical Industries (+22.8%), AusCann Group Holdings (+18.5%), Clinuvel Pharmaceuticals Ltd (+14.8%) and Integral Diagnostics Ltd (+13.5%). In Australian Pharmaceutical Industries (ASX:API) you have a major player in the Australian retail pharmaceutical industry with noted brands that are pitched at both the discount market and full-service pharmacy offering, a seemingly resilient model well-removed from managing hospitals. Clinuvel is a global biopharmaceutical group focused on developing and delivering treatments for patients with a range of severe genetic and skin disorders. The company benefits from its advanced proprietary technology in a niche area with a substantial addressable market. Integral Diagnostics, a company that provides the full spectrum of pathology services including CT and MRI scans, as well as nuclear medicine, was the other stock to record double-digit growth. Once again, this is a scalable business where the initial outlay for equipment is the major capital expenditure, and as customer growth increases earnings margins just get better. Among the top four though, arguably the most interesting and perhaps surprising was AusCann Group Holdings (ASX:AC8). As you can see from the table, this company isn’t just an overnight sensation that will fall as quick as it has risen. AusCann’s share price has increased 90 per cent over the last six months, and since the start of the year it has found a range roughly between $1.30 and $1.70. The following share price chart also demonstrates the outperformance of similar smaller stocks which stand to benefit from growth in the cannabis products sector. The yellow line is the $11 billion Ramsay Health Care, well outclassed by the smaller stocks in the cannabis products sector, and we go on to examine the merits of these companies in more detail. However, for those looking to target the next AusCann it would pay to look at the sub-$100 million market capitalisation companies as this is a stock that was trading in the vicinity of 40 cent in October last year – that was the time to snare it. One other thing to bear in mind before searching for that diamond in the rough is that one of the most appealing aspects of AusCann has been its ability to acquire and develop manufacturing facilities rather than relying on third parties to manage growing. MGC Pharmaceuticals (ASX:MXC) is a notable emerging player with a market capitalisation of approximately $80 million. The company’s core strategy is centred on pharmaceutical product research and development and active pharmaceutical ingredient extraction, including those that incorporate cannabidiol. MGC is the only medical cannabis company listed on the ASX with a combined Israeli, European and Australian clinical research strategy. However, there are other factors to bear in mind if we hark back to AusCann’s success. It should be noted before we go further that MXC is a speculative stock and investors should seek professional financial advice if considering this stock for their portfolio. Not only does the company have licensed cultivation operations in Malta and the Czech Republic, but it also has established a manufacturing facility in Europe. Providing confidence in the stock is its ability to meet milestones, most recently the production of its first pharma grade medicine in April 2018. MXC is benefiting from its diversified business model which spans pharmaceutical products, hemp neutraceuticals and supplements and CBD (cannabidiol) skincare and dermatological applications. In mid-June the company informed the market that 18 products from its MGC derma collection were to be launched by the UK’s leading retailer, Harvey Nichols. As management refers to it, the company has a ‘seed-to-sale’ operation (very similar to AC8) where it has stringent supply chain control, maximising efficiencies and ensuring reliability of distribution. 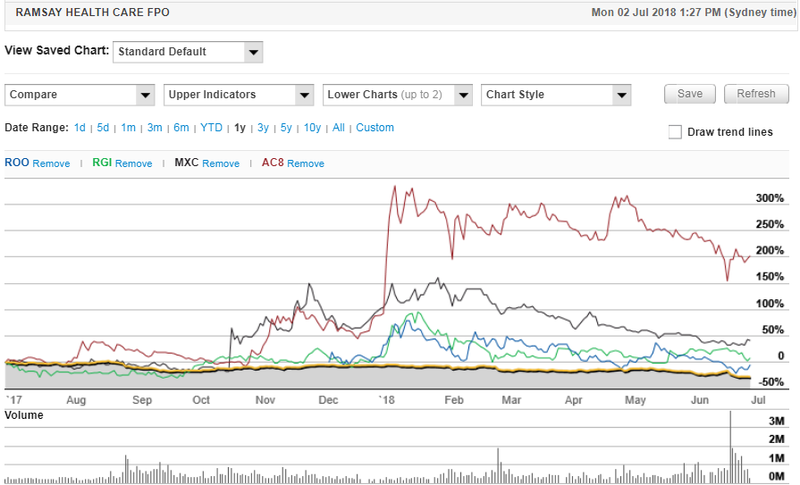 MGC’s shares spiked 15 per cent under higher than usual volumes on June 29. As this wasn’t news related it would appear that investors may be taking advantage of the recent retracement and/or they too noticed the share price movements post the Ramsay news. Regardless of the rationale behind the heavy buying, it could be the start of a broader rally. 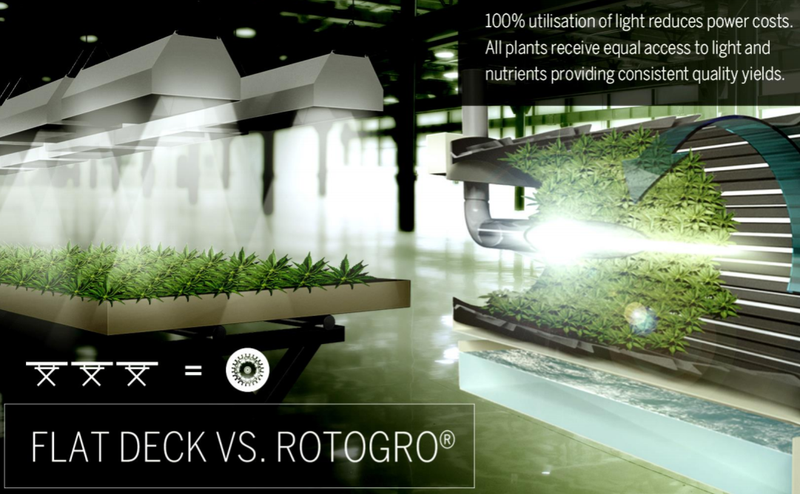 RotoGro International Ltd (ASX:RGI) has a distinct ‘we have the technology’ advantage in the hydroponics space. It has used this as a platform to enter the cannabis market, and the company is now well placed to leverage off its proven expertise and technologies. The company has licensed, proprietary, patented, and patent-pending technologies in the stackable rotary hydroponic garden space. RotoGro holds worldwide exclusive licenses for lawful medicinal and recreational cannabis markets. It also has worldwide non-exclusive licences for all other purposes including pharmaceuticals, nutraceuticals and perishable foods. Once again, this is a company that can expand its operations off a relatively fixed cost base and proven technology, and as such is a very scalable business. As the top line grows, margins will improve and a large proportion of earnings will drop to the bottom line. This should enable management to accelerate its expansion by acquisition strategy, while also generating strong organic growth. On the acquisition front, Roto-Gro finalised the purchase of Hanson’s Water Treatment Inc’s Hanson Fertigation last week. Hanson operates the business of water treatment and fertigation services, focused on commercial installations in Nevada. Fertigation is the injection of fertilizers, soil amendments, and other water-soluble products into an irrigation system. The group has a specialized business line for water treatment and nutrient management in the viticulture, perishable foods and lawful cannabis space. To date Hanson Fertigation has successfully provided design solutions, installations and ongoing service for more than twelve licensed lawful cannabis facilities in Nevada. From a broader perspective, the acquisition provides a specialised business line for water treatment and nutrient management in the viticulture, perishable foods and lawful cannabis space. This expands RotoGro’s diversification both by product, intellectual property and geographic representation. Given that the company paid a nominal multiple of three times earnings before interest, tax, depreciation and amortisation relative to the group’s fiscal 2017 earnings, one would expect that the return on investment will be considerable. Although any return on investment at this stage is speculation and investors should seek professional financial advice for further information. Management recently said that RotoGro would continue to focus on opportunities that provide it with synergies to expand its industry position. Notably, the company is exploring strategic partnerships and complementary acquisitions in related markets which include lawful cannabis licence ownership. Management is also looking at opportunities in the growing services sector, industry leading nutrients, emerging tissue culture expertise and other supporting faculties of hydroponic growing. It was only on Monday that Roots Sustainable Agricultural Technologies (ASX:ROO) informed the market that it had entered the Ag Tech sector, supplying the US$7 billion US cannabis market, the catalyst for a circa 15 per cent share price spike. The company is conducting a pilot using Roots’ Root Zone Temperature Optimisation (RZTO) technology with American Farms Consulting LLC (AFC). The pilot represents Roots’ entry into the Ag-Tech sector supplying equipment to the US cannabis market, which is expected to increase to US$22 billion by 2021. The company’s equipment and technology will be installed in Trinidad, Washington, a semi-desert climate characterised by high temperature variances between day and night. The pilot will consist of the installation and use of Roots’ RZTO technology and associated products by AFC, a licensed breeding platform for cannabis growers for the legal cannabis industry in Washington State. They will cool the roots of cannabis in part of a 30,000 square feet open field licence awarded to the farm owner. Assuming the pilot is deemed a success, AFC will then purchase the RZTO system for future use. The pilot is not expected to generate any significant revenue for Roots, rather demonstrate its benefits to operators in the cannabis market. Given the low set-up costs and ongoing operating expenditure, the technology could resonate with growers. Roots’ chief executive, Dr Sharon Devir said, “This pilot is the first time RZTO system technology has been used in a cannabis open field, a growing cannabis production method with increasing popularity due to lower initial capex and low opex.